My third year attending Natural Products Expo East is in the books, and it was my most enjoyable year yet. 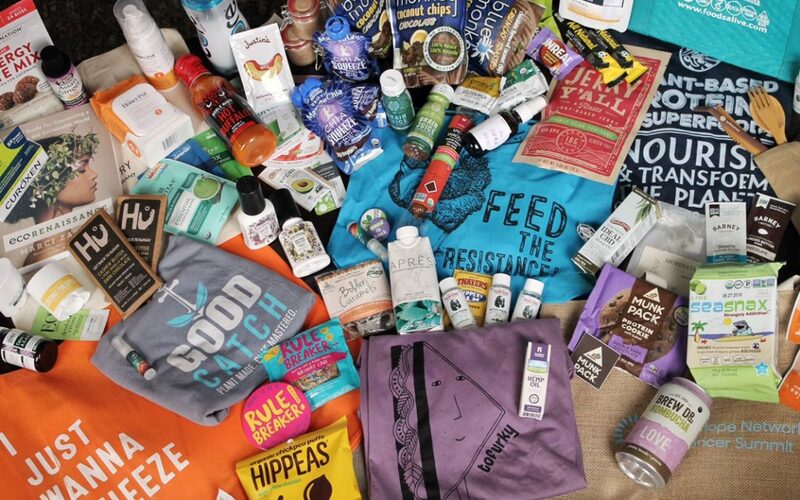 While I didn’t spend much time discovering new products, I was able to check in with some of my favorite brands to answer the most important question: what’s next on the vegan horizon!? Well, Follow Your Heart will be launching 10 yogurts soon. Miyoko’s was sampling their new cream cheeses. Daiya showcased a few new items, including ice cream desserts and cheese sticks. And Tofurky revealed their new holiday roast, complete with a decadent chocolate cheesecake! While I’m excited for all of those big name announcements, there are a few other releases that have me extra jazzed. There’s one product which I believe to be the best of the best at Expo East 2018, Nothing else truly competes. Plus, there are six more brands and products that I’d count among my favorites this year! Anyone who was following along last year will recall that one of my favorite exhibitors of the entire Expo…wasn’t even an exhibitor! Good Catch Foods was set up at the Harvest Festival in 2017, but wasn’t an official exhibitor on the show floor during Expo. However, they managed to secure a tiny corner on the Expo floor at the World Finer Foods exhibit. This year, they dove right into the main Expo floor with a featured booth of their own. Yet again, they’re my absolute favorite of the year—and I’m still patiently waiting for them to officially launch! 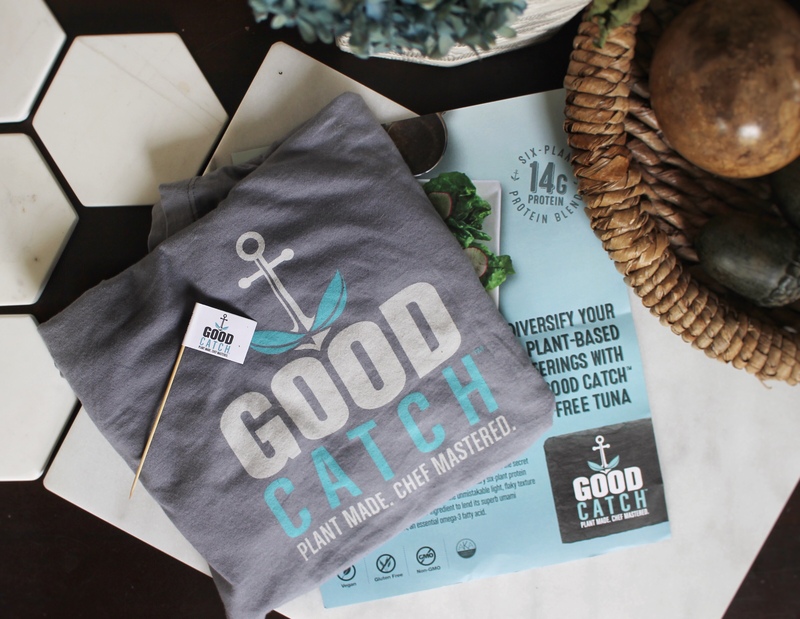 Good Catch offers a delicious solution to saving sea creatures and the ocean on which we depend. No other plant-based seafood company even comes close to creating a flavor so satiating as Good Catch Foods. Everything I’ve eaten from them (and, despite the fact that they’ve not yet launched, I’ve managed to eat possibly a dozen meals-worth of food from them due to the number of times I go back to visit their setup each year! So trust me when I say I’ve tasted quite a bit!!!) is absolutely delicious. Living on the East Coast, I know just how much potential Good Catch Foods has to disrupt the seafood industry. I can’t wait to blow the minds of all my non-vegan friends and family! But more than that, Good Catch Foods is mission driven and dedicated to delivering messages about sustainability and animal protection. Many congratulations to Good Catch Foods for, first, closing their Series A funding with a bang, and also for winning a 2018 NEXTY Award! 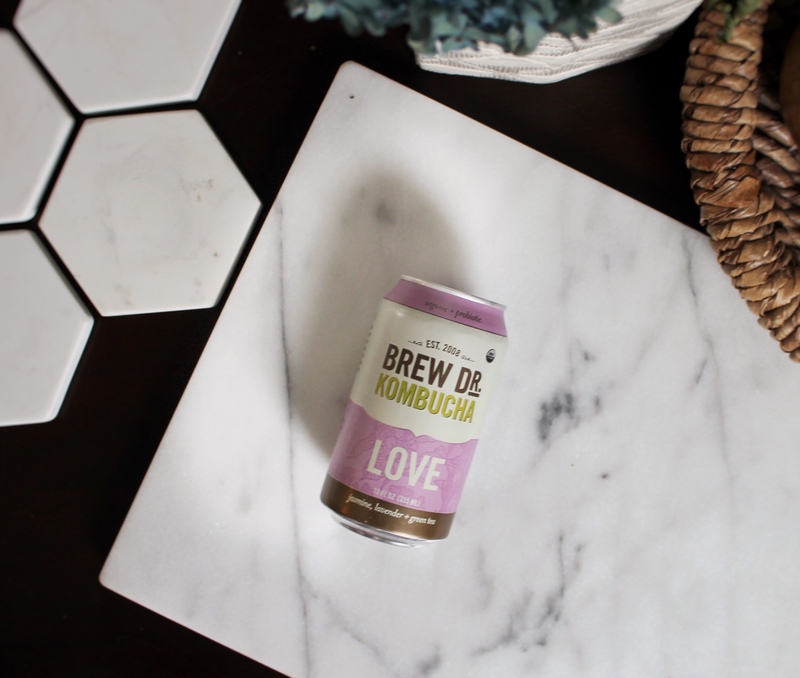 Over the past few years, Brew Dr. Kombucha has slowly been becoming one of my favorite booch brands, and Expo East 2018 solidified that for me. In talking with their representatives, I learned that Brew Dr. Kombucha produces their flavored kombuchas using various teas rather than adding or infusing flavors at the end of the process. This results in fuller and more rounded flavors, in my opinion. But more interestingly, I learned that Brew Dr. has found a clever and fun way to close their production loop. As they extract ethanol from their booch to lower the alcohol content, they recycle that by-product into Townshend’s Distillery to produce some delightful spirits (10:30 am visit? It’s never too early to drink when you’re at Expo!). I stand fully behind any company that can reduce their footprint…especially when alcohol is involved. Brew Dr. also announced some flavor news, and showed off their new booch-in-a-can—which can be recycled and also safely taken where glass bottles typically aren’t permitted (e.g., camping, beaches, etc.). So, if you’ve not yet tried Brew Dr., find them quickly and I’m interested to know what you think. Note: the vegan-friendliness of the spirits is not known at the moment. But I’ve inquired. Can we talk about feminine hygiene for a minute? I don’t know that women take care down there the way they ought to. And one brand is trying to address that by providing a line of products to make feminine hygiene more commonplace. 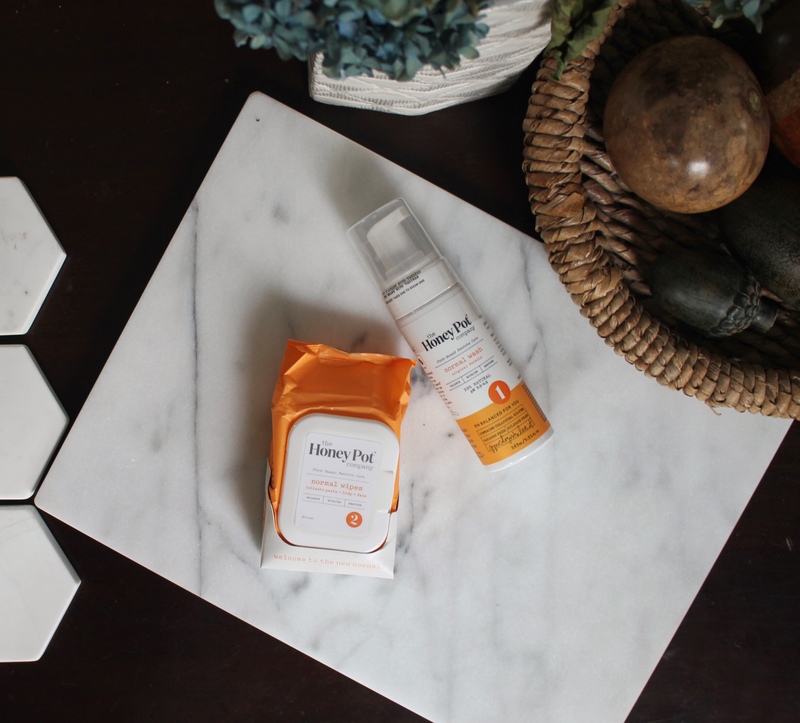 The Honey Pot Company,who makes feminine wipes, washes, and a line of period products, is also an advocate for women’s health. Their products are available at target (where I first found them). I’ve use their wipes before and I’m looking forward to trying the wash! The Honey Pot Company is the first-ever plant-based feminine care system made by humans with vaginas for humans with vaginas because it takes one to know one. 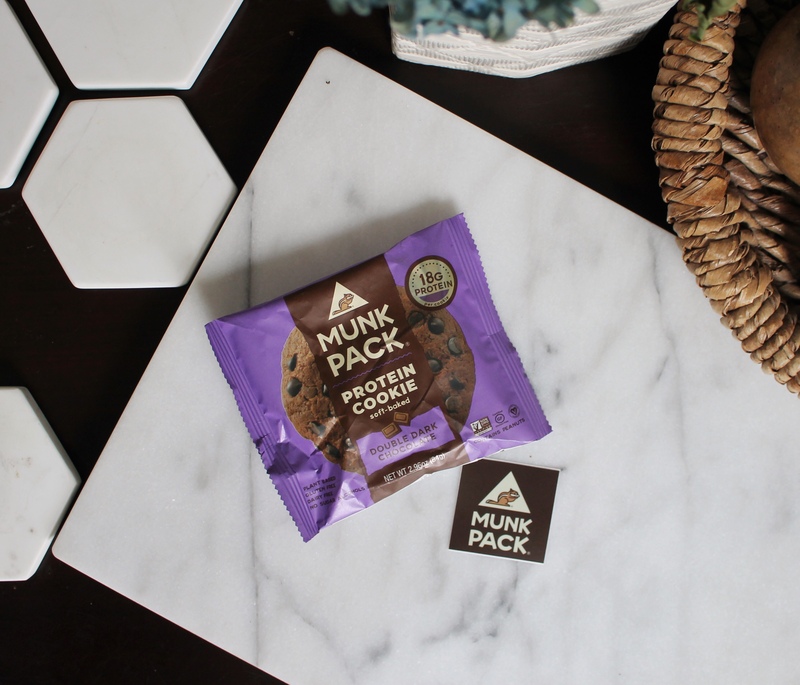 You may already be familiar with Munk Pack, but with Expo East 2018, they’re introducing customers to their new cookie packaging. Now, if you’ve not had a Munk Pack protein cookie before, you should know they are scrumptious! When hiking Bear Mountain in Sedona this past June, I used a Munk Pack cookie as my incentive to get to the top—no eating allowed unless I made it. You know I did! Such sweet success! The coconut white chip macadamia is by far my favorite! 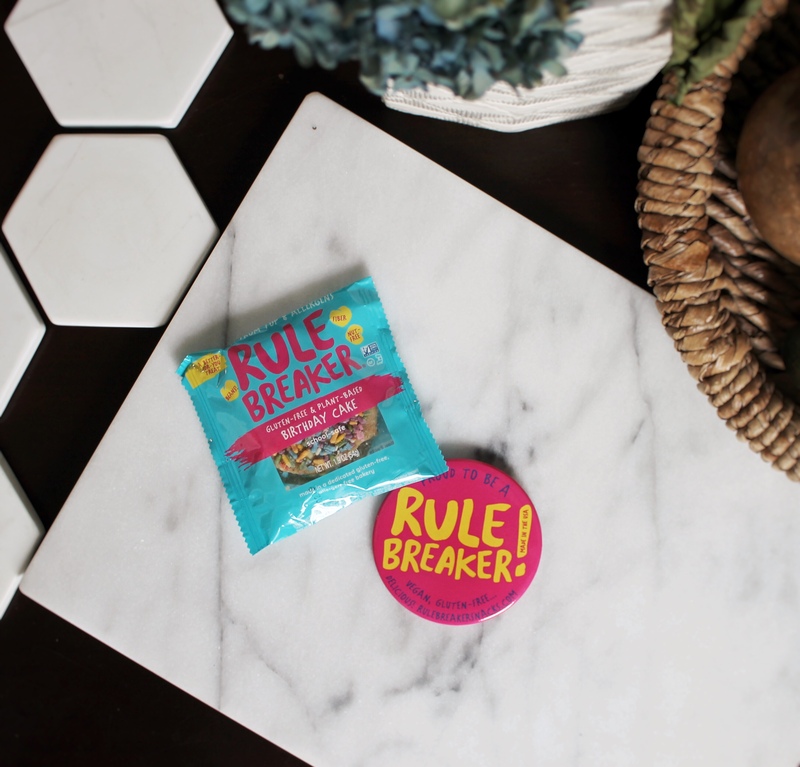 Rule Breaker Snacks is a newbie on the show floor featuring sinfully rich and tasty brownies. Both vegan and gluten-free, these brownies are allergen-friendly treats…but you’d never guess they’re also a fiber-rich and protein-packed treat. Okay, so this one’s a bit silly. It’s not a new product, but it’s a product that I haven’t been able to get my hands on for years now—and I’ve been craving it since I first tried it (and fell in love) two years ago! 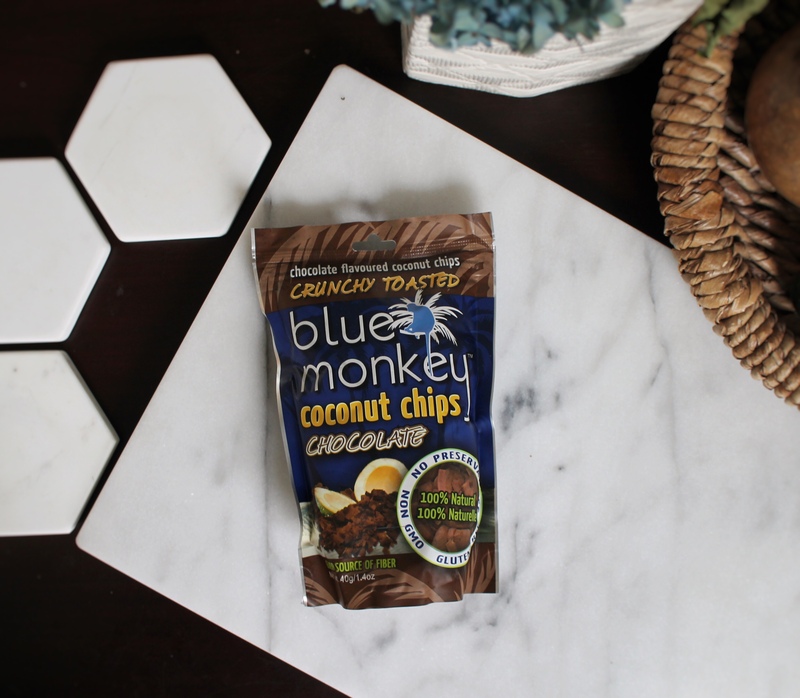 I’m not kidding, I’ve had an empty bag of Blue Monkey’s dark chocolate coconut chips in my house for two years—and I’ve even moved in between and still held onto the bag as a reminder to get more. But they weren’t available on Amazon and I somehow failed to even check the brand’s website. Alas, the dark chocolate chips are indeed still around and just as delicious as I remember them being! Full disclosure, I haven’t even tried this yet! 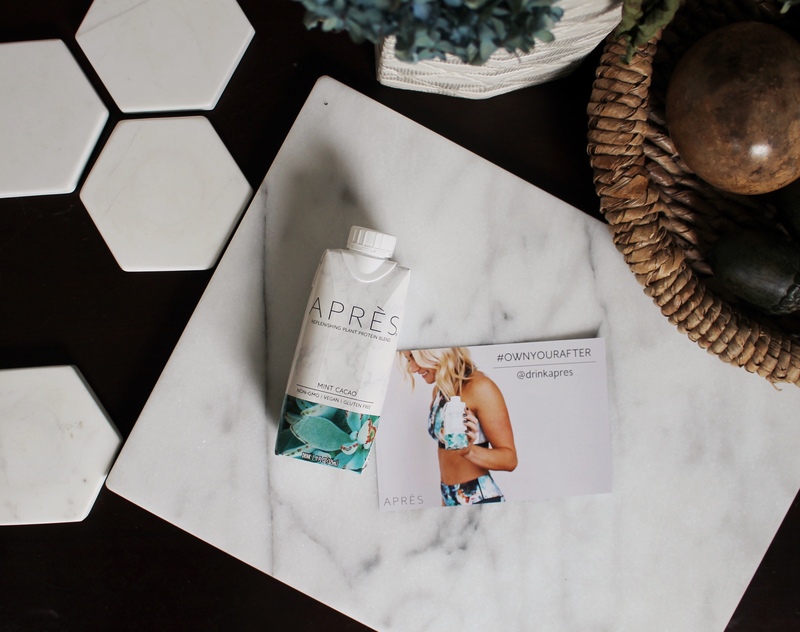 Après wasn’t exhibiting at Expo East, but at a networking event I received a sample, people spoke very highly of the drink, and now I am quite eager to give it a taste. And there you have it. Some of my favorite products from Expo East 2018. It’s by no means an exhaustive list of what Expo East had to showcase, but these seven brands and products had me leaving Expo energized, excited, and feeling satisfied! Tough I must patiently await some products (Good Catch Foods’ December release couldn’t come sooner! ), Expo East 2018 wasn’t an entire tease. A lot of these products can be found on shelves already, and there’s always more to come! Now, I’ve got enough to look forward to until Expo East 2019! For more new product fun, check my 2017 Expo East Recap or my 2016 Expo East highlights. crunchy-vegan.com is full of interesting informations, bookmarked!